Showing all news posted in October 2013. Work is due to commence shortly on a flagship Care Home on a former auction mart site at Meadowfield, in Ponteland. The scheme, for Crown Care, has seen a major re-design and will provide rooms for up to 73 residents in an open plan, contemporary Home. Residents will be able to meet in the spacious lounge bar and listen to the grand piano, dine in the light, spacious and open plan restaurant and enjoy activities and films shown in the Home’s activity spaces. Rooms provided range from private en suite bedrooms with glazed doors opening out into the surrounding gardens, to suites for couples, which will enjoy private lounges, kitchens and en suite bathroom facilities, all fitted out to the highest standards. The Home will be built using a mix of ashlar and brick, with decorative render panels under the eaves. Windows, doors and screens will be finished in charcoal grey and the roof will be covered in a grey tile. Meldrum Construction, who are based in Birtley, have been appointed as main Contractor. They will also build six assisted living units on the site, which will work in conjunction with the main Care Home. The Home will be complimented by landscaped gardens to be designed and planted by Landscape Architects, AJT. With work commencing late 2013, the scheme will breathe new life into this part of Ponteland. 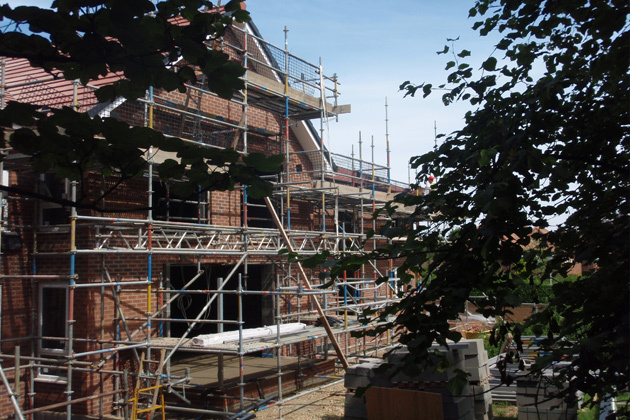 Work is continuing on the 53 bedroom care home on Waterstead Lane in the picturesque seaside town of Whitby. The 53 bedrooms and supporting facilities are split over 2 floors with a basement construction housing facilities including laundry and kitchens’. The Care Home will feature a number of sustainable technologies in order to reduce the building’s carbon footprint. Two biomass boilers are to be housed in the basement, these boilers will be powered by wood pellets and provide the entire heating needs of the Care Home. Photovoltaic panels are to be installed on the roof of the completed building which, when installed will provide over 10% of the Care Home‘s total electricity requirements. The design maintains a strong relationship with the surrounding properties; traditionally a red brick and tile roof construction, although this is coupled with the aforementioned modern technologies. The Home will be a great improvement on the previous Magistrates’ Court which was demolished to make way for the new Home. It also includes landscaping to fit in with an area already quite green and surrounded by parkland. The construction is being undertaken by Gentoo Construction Ltd and work is due to be completed by the end of the year to allow Residents to move in to what will hopefully be a sought after Home, in a desirable area. 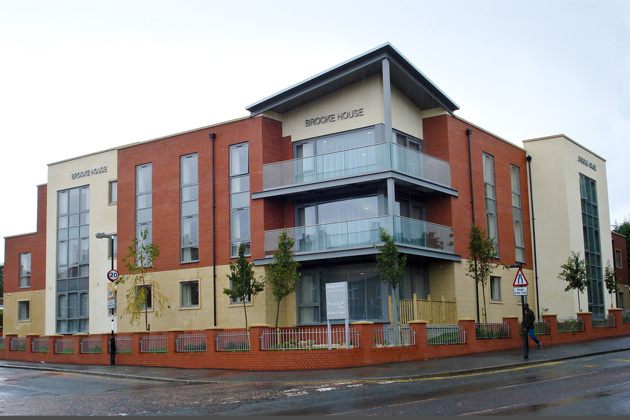 Summer 2013 brought the opening of Brooke House Care Home, in the Denton area of Newcastle. This is our sixth new build project for client Prestwick Care Group, and the second Home constructed by Brims Construction Ltd. 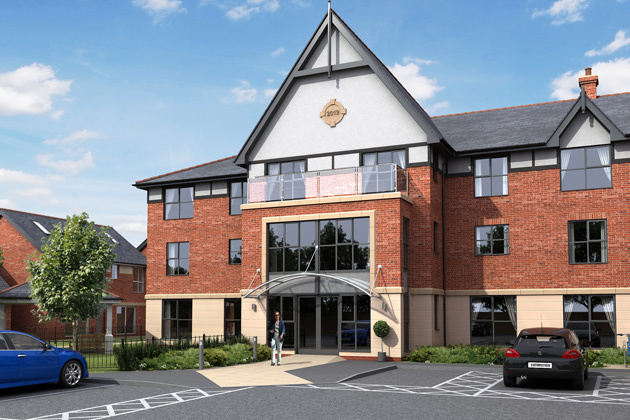 This 50 bed Specialist Care Home will provide care for the elderly suffering from dementia. The Home’s décor has taken inspiration from the University of Stirling’s recommendations on design for people with dementia. The Home’s bedroom accommodation is split over three floors, with spacious communal areas on each floor. A basement houses service and staff back of house facilities. The crowning features are the corner lounges, on two levels, each with large expansive corner windows and balconies, which take advantage of fabulous views looking down the TyneValley. The completed Home will not only provide people in the Denton area of Newcastle with a high quality Home for people to reside in, it is also a significant new local employer in the area and a landmark gateway into Newcastle.